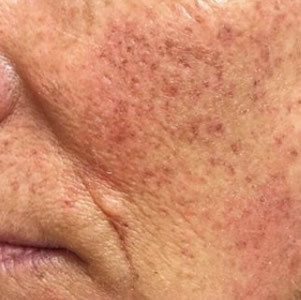 If you suffer from the appearance of sunspots or small facial vessels (telangiectasias), you may want to consider Intense Pulsed Light (IPL) to deal with unsightly skin afflictions. 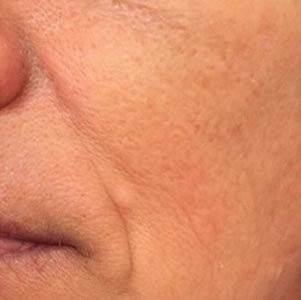 In this procedure, an IPL machine will emit gentle pulses of light at carefully sized wavelengths in order to target the desired area. The heat and light generated by these waves is absorbed by broken capillaries, dark pigment, and collagen. 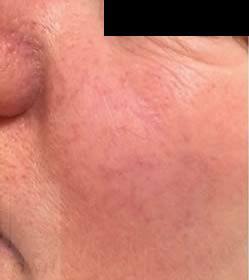 These areas then coagulate and the skin is induced to procure new collagen fibers – giving the skin a renewed, youthful appearance. The doctors at Bruno | Brown Plastic Surgery exclusively use the Lumenis One, a fourth generation IPL system procured by the company which invented this technology and which is considered the gold standard for the procedure. At your procedure, a cold gel is applied to the treatment area and you will wear dark glasses to protect your eyes from the bright light. 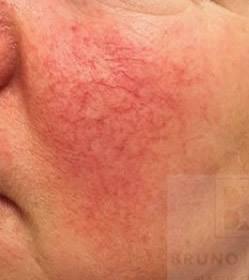 The IPl is gently applied to your skin, you may feel a slight sting, similar to the snap of a rubber band. When the procedure is over you will apply topical anesthetic cream. 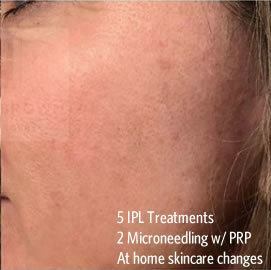 Why Should I Consider IPL Treatment? 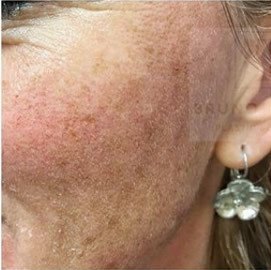 With this procedure, small light pulses applied to targeted areas of the skin will encourage the growth of new, healthy skin cells to restore your skin to a smooth, youthful glow. Are you interested in seeing if IPL is right for you?